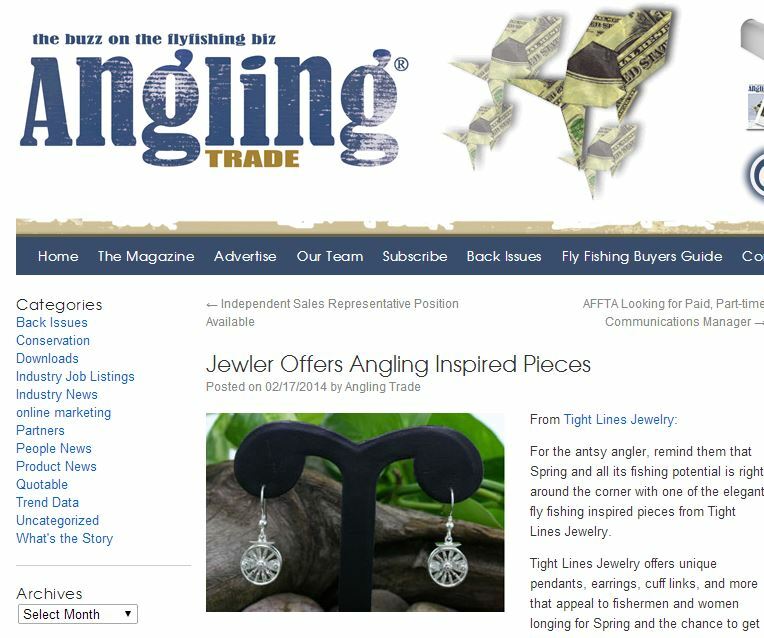 Congratulations to our Client Tight Lines Jewelry for their feature on Angling Trade! Tight Lines JewelryÂ has handcrafted a way for anglers to take their pastime wherever they go. TheirÂ angler-oriented pendants, earrings, cuff links, and more speak to the soul of the fishing enthusiast while indulging their desire for that perfect good luck charm. For many fishermen a good luck charm is a necessity, which is why Tight Lines Jewelry was proud to contribute a few of their special pieces to 2014â€²s Bassmaster competitors. Tight Lines Jewelry givies folks an outlet for their passion and a reminder of whatâ€™s right around the riverâ€™s bend.